More than 75,000 in print! Sign up to receive e-alerts on upcoming titles on Dialectical Behavior Therapy (with special discounts)! 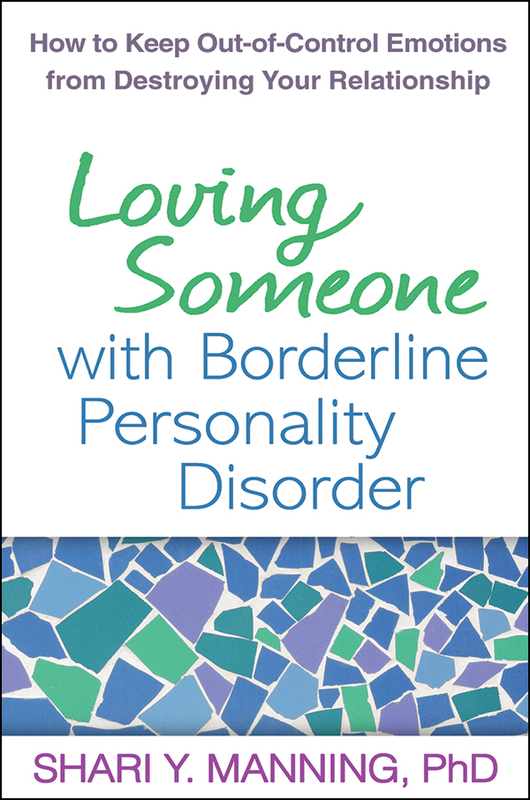 People with borderline personality disorder (BPD) can be intensely caring, warm, smart, and funny—but their behavior often drives away those closest to them. If you're struggling in a tumultuous relationship with someone with BPD, this is the book for you. Dr. Shari Manning helps you understand why your spouse, family member, or friend has such out-of-control emotions—and how to change the way you can respond. Learn to use simple yet powerful strategies that can defuse crises, establish better boundaries, and radically transform your relationship. Empathic, hopeful, and science based, this is the first book for family and friends grounded in dialectical behavior therapy (DBT), the most effective treatment for BPD.